Join us for the webinar “Passive acoustic monitoring on a SV3 Wave Glider for fish spawning aggregation detection and characterization” on April 24 at 12:00 PM ET. Laurent Cherubin from FAU’s Harbor Branch Oceanographic Institute will discuss a novel, autonomous approach to conduct fishery independent surveys in order to search and discover unreported aggregations by mapping the underwater acoustic landscape using an unmanned platform in areas that surround currently known spawning aggregations during the spawning season. Many commercially important reef fishes in the Caribbean and southeast US have been overfished to the point that some species, like the Nassau grouper, is considered threatened and on the endangered species list. Mature adults of some species gather in large numbers every year for two to three months at specific locations to spawn. Once located, the spawning aggregations become an easy target that can be reduced until it can no longer be formed. Most grouper and snapper spawning aggregations in the region have been extirpated and the few that have been documented are vulnerable unless protection can be enacted. We have developed and demonstrated a novel, autonomous approach to conduct fishery independent surveys in order to search and discover unreported aggregations by mapping the underwater acoustic landscape using an unmanned platform in areas that surround currently known spawning aggregations during the spawning season. While passive acoustic methods have previously been used for fisheries management and stock assessment, the platforms and algorithms are not currently mature enough to allow for advanced autonomy, drastically limiting the spatial and temporal range, and resulting in considerable operational costs. In addition to discovering previously unknown spawning sites, the development of novel algorithms, and passive acoustic and environmental sensor systems enables monitoring along with automated detection, classification and surveillance of fish vocalizations. 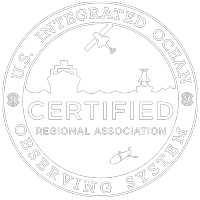 As well as providing significantly finer scale detection with low latency, this innovative approach also enables greater on-board intelligence and autonomy; reduced launch/recovery and satellite data cost thus further reducing the overall operational costs, while enhancing performance for ocean monitoring missions. Laurent Cherubin obtained a bachelors with a major in mechanics and a minor in mathematics at the University of Bordeaux (France). Then he acquired a MS in coastal oceanography and PhD fellowship from the French Navy – graduating from the University of the Mediterranean in Marseille (France) in 2000. Laurent Cherubin was a postdoctoral researcher at the University of Lisbon (Portugal), at the Institute of Oceanography for two years, before he joined the Rosenstiel School of Marine and Atmospheric Science at University of Miami, where he spent most of his early career. Since August 2013 he has been a research Associate Professor at FAU’s Harbor Branch Oceanographic Institute and his expertise is in physical oceanography, numerical modeling, biophysical modeling, marine connectivity, fish acoustics and autonomous underwater vehicle. Learn more.